The Mala Strana District in Prague in Czech Republic is also referred to as Lesser Town, Lesser Quarter or Lesser Side. 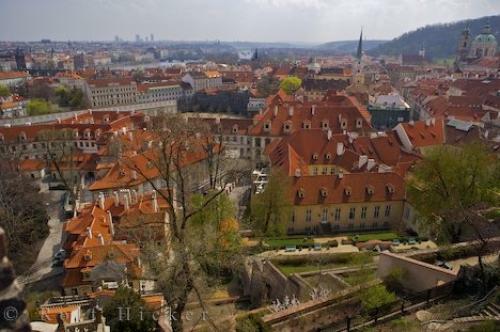 Photo of the Lesser Town taken from Prague Castle in Prague, Czech Republic, Europe. ... Overlooking the Mala Strana District from the Prague Castle, Prague, Czech Republic, Europe. I photographed this photo with the digital SLR camera model Canon EOS-1Ds Mark II, aperture of f/4.5, exposure time of 1/250 sec. on ISO 100, as always I used a original Canon Lens, the focus lenght for this picture was 25mm.